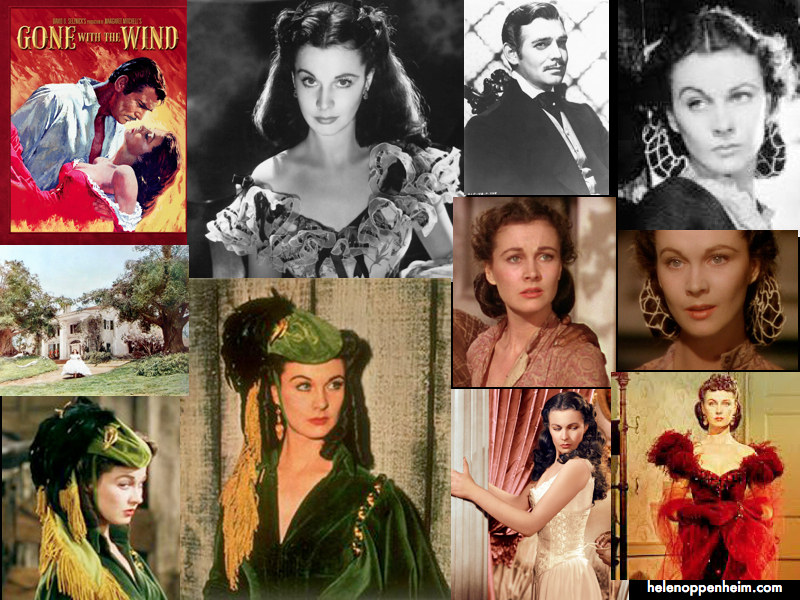 On December 15, 2014, it will be 75 years to the day since the World Premiere of Gone With The Wind, that classic legendary movie, the most celebrated in movie history based on Margaret Mitchell's bestseller book. The Paramount and Stateside Theatres will host a special Anniversary tribute screening ($5-$15) and events for the beloved David O'Selznick movie directed by Victor Fleming starring Vivien Leigh as Scarlett O'Hara and Clark Gable as Rhett Butler. Collage by helenoppenheim.com with stills from the movie feature Vivien Leigh as Scarlett O'Hara, Clark Gable as Rhett Butler and the movie set of Tara. In 1987, I had this brainwave to produce a press release for La Coupe with hairstyles inspired by the movie. It was the biggest production La Coupe ever did. All the great hair seen here was by Kim Lepine, working with Susan Cambell, texture by Rita Starnella. The fantastic fashions were styled by Arianne Phillips, who went on to fame styling Madonna. The Tara Collection was beautifully, exquisitely photographed by Geoffrey Hargrave Thomas at the Palace Theatre in Connecticut, where scenes from Hello Dolly were filmed. We had two gorgeous Scarlett O' Haras - Carol Dlugos, a Nothern Belle and Alayne, a Southern Belle. We all left New York at 6 a.m. arriving back at 3 a.m. after what I hope you will agree was a spectacular shoot featuring ringlets, a snood, the hat made from curtains, the corset scene and, well, take a look. Then go to my website and see more photos, sketches, how-to's. This campaign, was on a theme, with some very subtle touches, some of which can be seen on the collage of movie stills above. Take a look again, then look at the photos. See the most-liked posts from our Instagram from 3/25-4/1.